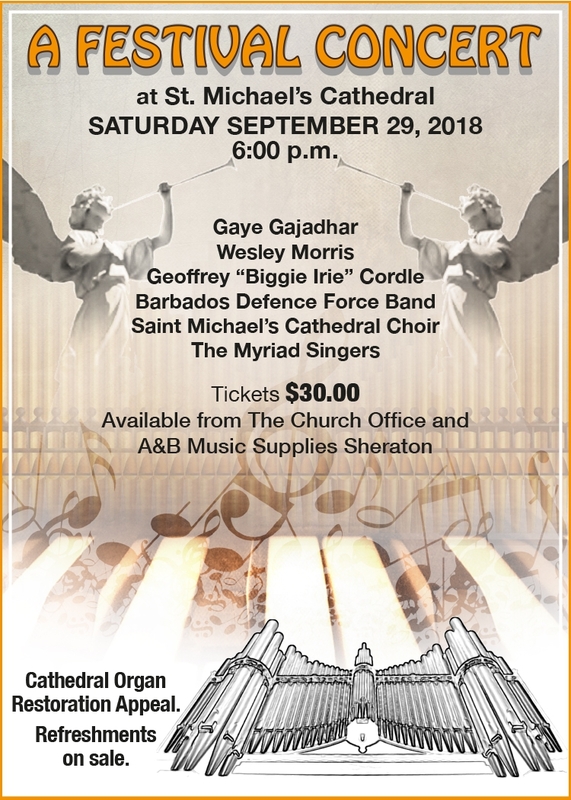 A Festival Concert will be held at St. Michael's Cathedral on Saturday 29th September, 2018 at 6pm. There will be refreshments on sale. Admission: BB$30 (available from the Church Office and A&B Music Supplies, Sheraton Mall). This concert is in aid of the Organ Restoration Appeal.